This entry was posted on November 16, 2012 by Goplasticpallets. 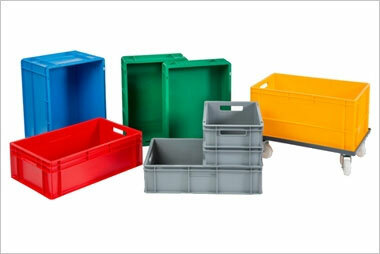 GoPlasticBoxes.com has added an impressive plastic Pallet Cover to their range of Tote Boxes, Euro Containers, Attached Lidded Containers (ALC) and KLT’s. 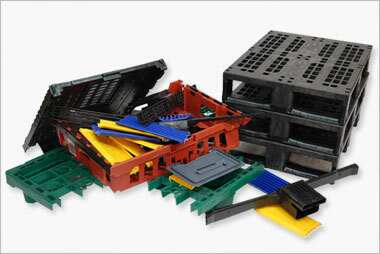 The plastic Pallet Cover is injection moulded from strong and durable polypropylene and is compatible with Tote Boxes, Euro Containers, Attached Lidded Containers (ALC) and KLT’s from the GoPlasticBoxes.com range of industrial containers. 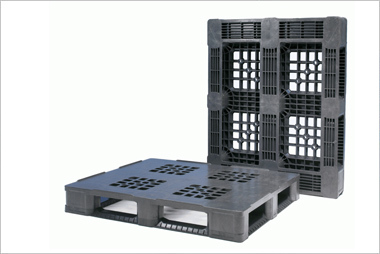 The top of the plastic Pallet Cover has positive location points to locate plastic or wooden pallets stacked on top of the plastic Pallet Cover for secure stacking whilst in static or dynamic use. 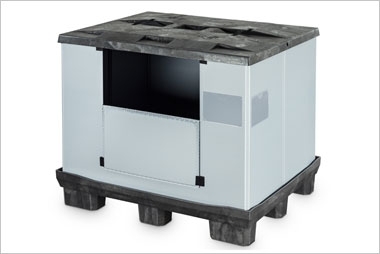 The underside of the plastic Pallet Cover has a number of moulded in ribs that locate into each industrial container offering added location and security when stacked or in transit with the Tote Boxes, Euro Containers, Attached Lidded Containers (ALC) or KLT’s fully loaded or empty for returns and storage. 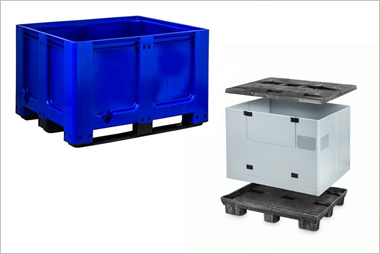 The plastic Pallet Cover can also be customised subject to volume with options that include company name and or logo, bar codes, colour coding and fitted RFID tags. When used with the GoPlasticPallets.com IPS Medium 1210 M5R plastic pallet this makes a very effective pallet & Lid System for the secure and safe movement of a wide range of industrial plastic containers that include Tote Boxes, Euro Containers and KLT’s in many different applications and industry sectors.